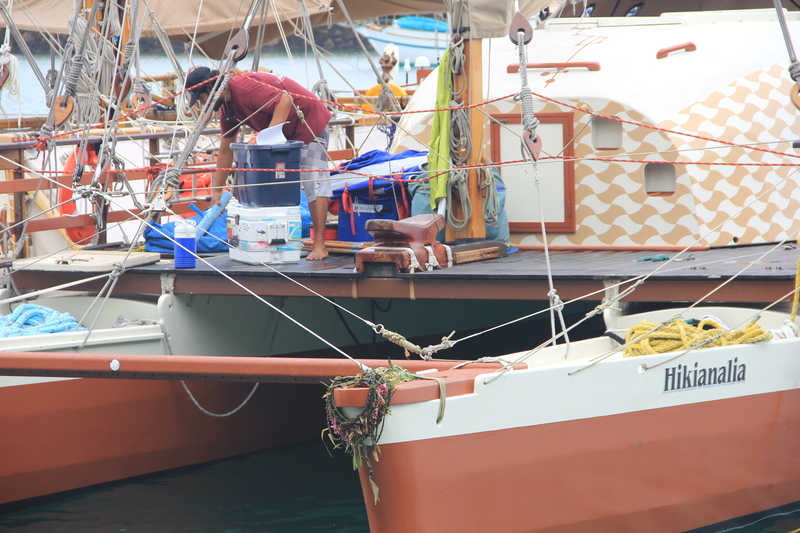 They sail with no charts or instruments. No timepiece. No compass. 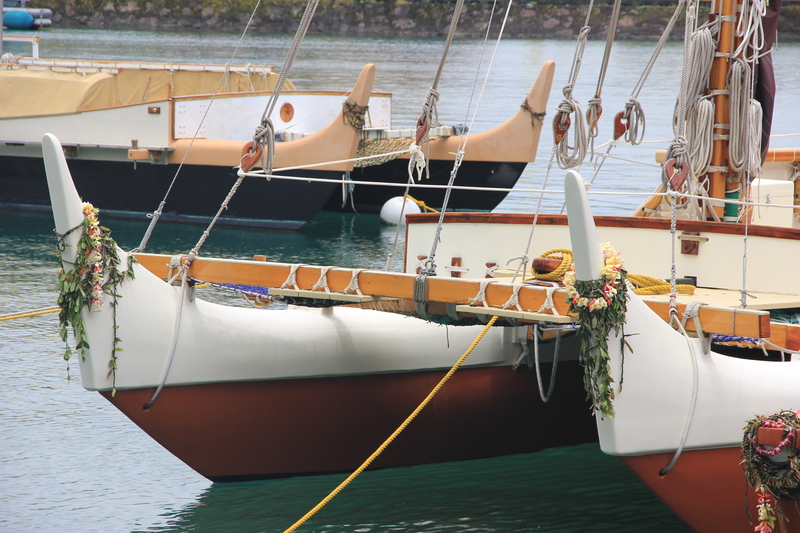 They navigate as their ancestors did, guided by a world of natural signs—the arcing stars, sun, and moon; the signs of direction in swell and wind and current. 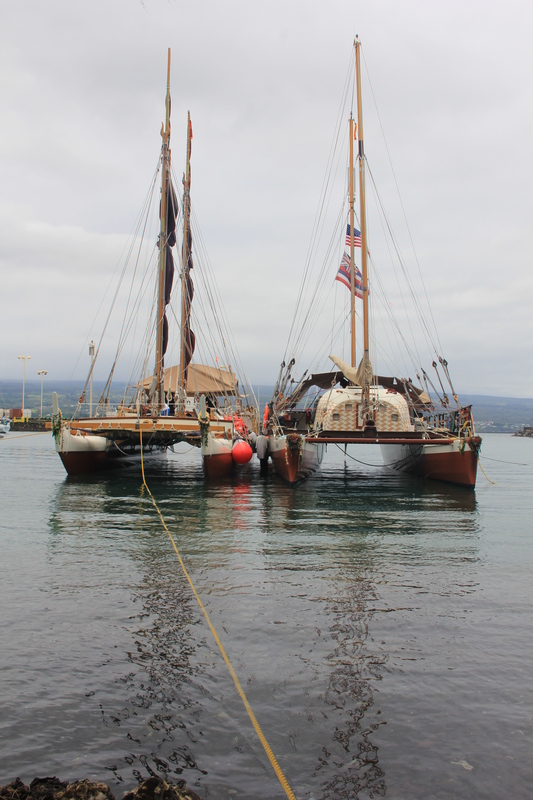 Two voyaging canoes, the Hokule’a and Hikianalia departed Hawai’i on such a journey at the end of May. 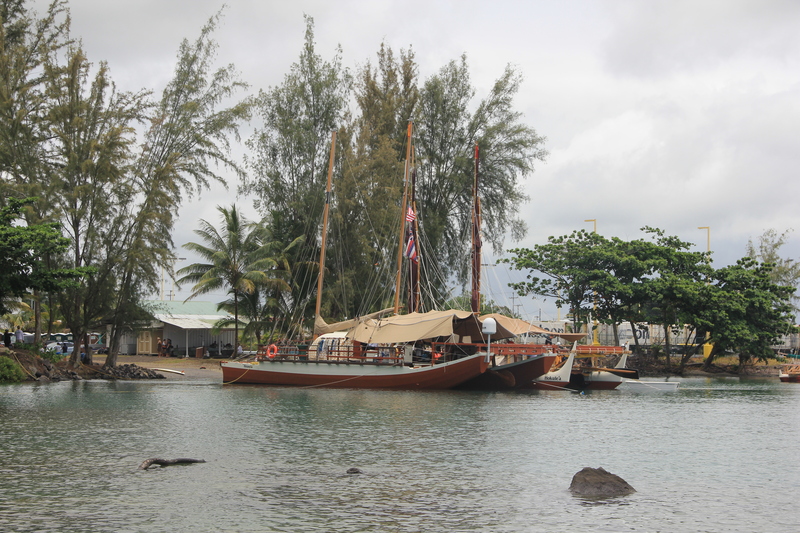 About 28 days later they had reached Tahiti. 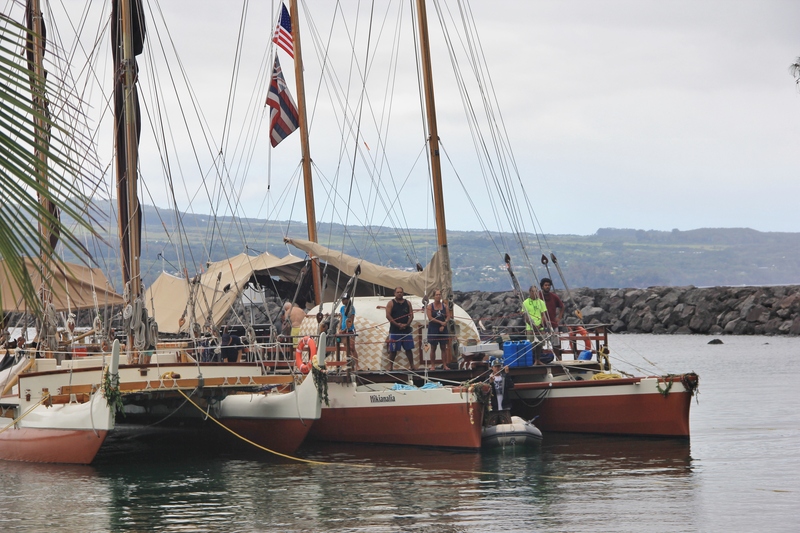 The journey will continue as these two double-hulled canoes sail to Australia, the Indian Ocean, round the Horn of Africa, make numerous port in the Mediterranean, cross the Atlantic Ocean and bring their message to the continents of North and South America before returning home to Hawai’i. 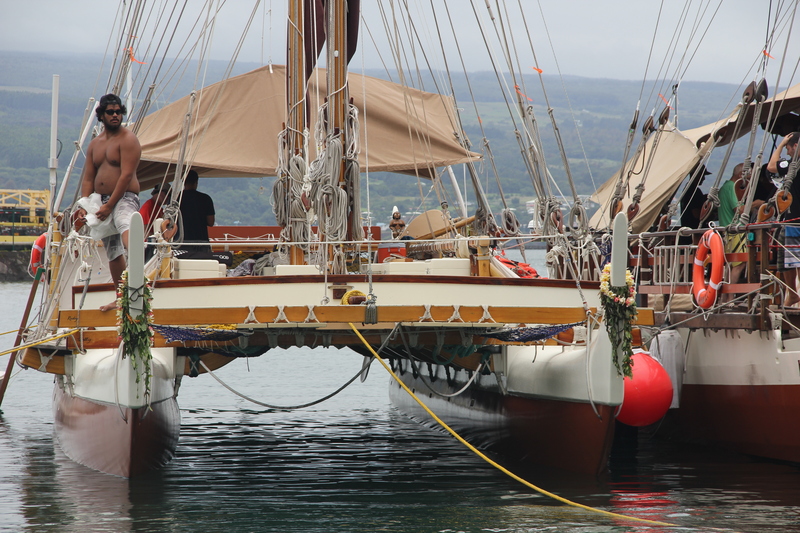 The Hawaiian name for this voyage, Mālama Honua, means ‘to care for our Earth’. 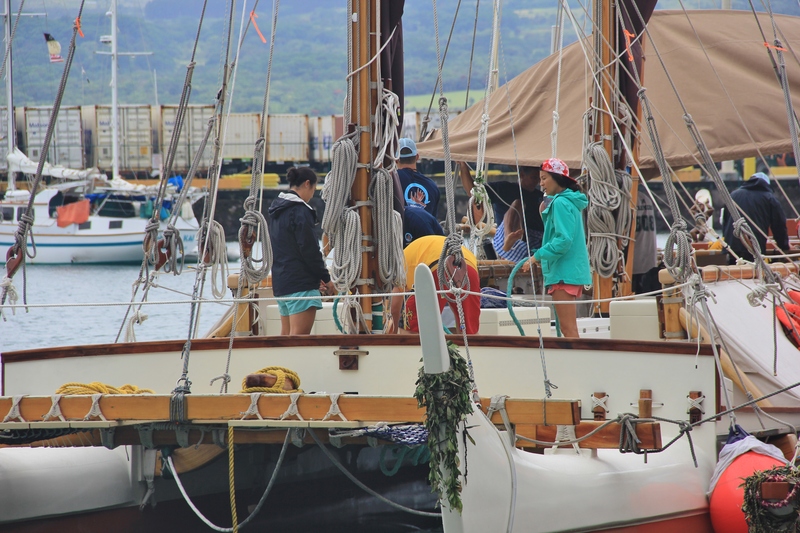 I had the fortunate opportunity to be present for a Hawaiian blessing ceremony in Hilo, Hawai’i as the Hokule’a and Hikianalia prepared to set sail for Tahiti. Nothing has captured my imagination as this journey has since the early days of space exploration. I remember clearly when I first saw the image of our small blue planet as viewed from space. We see that oceans connect all land masses on this planet. 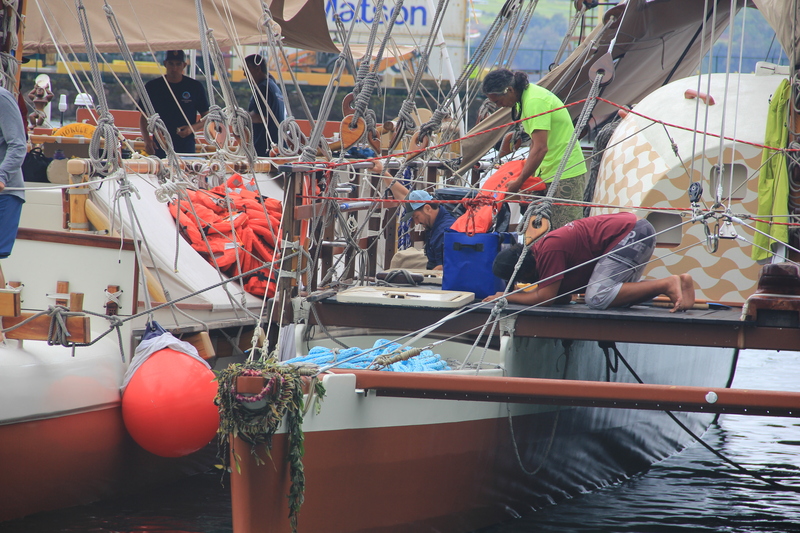 What better ambassadors could there be to spread the word for sustainable resource use to the world than those from an island environment. 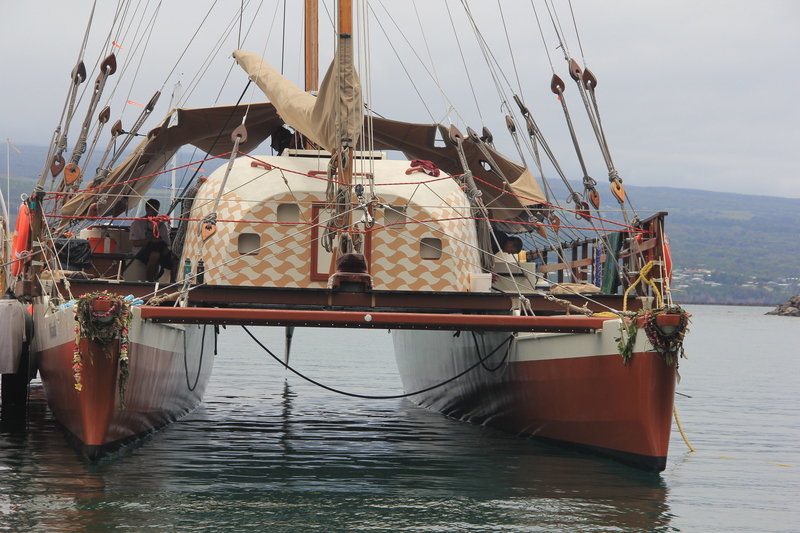 Hokule’a and her sister vessel, Hikianalia will cover 47,000 nautical miles with stops at 85 ports in 26 different countries on a three year circumnavigation of the earth. 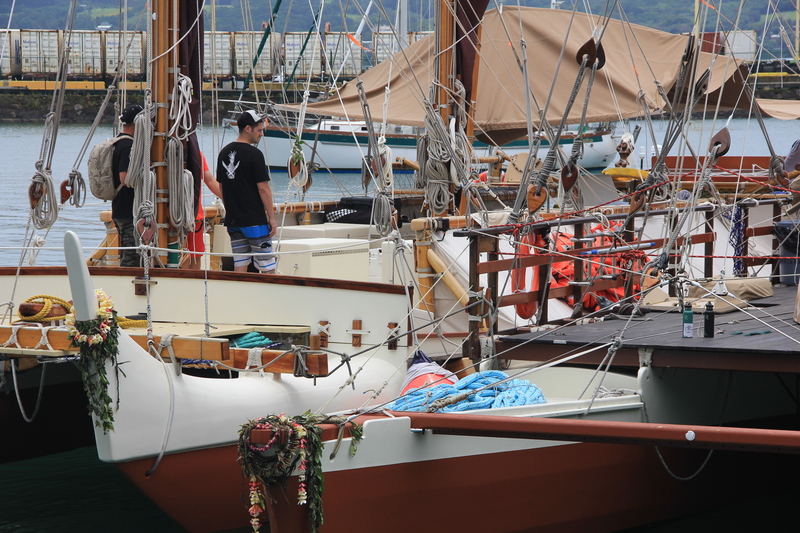 If you are near to any of those ports where these Hawaiian voyagers will stop I encourage you to to take the time to visit, to hear their stories and to also share the knowledge and stories of your place on this planet. We are all connected. 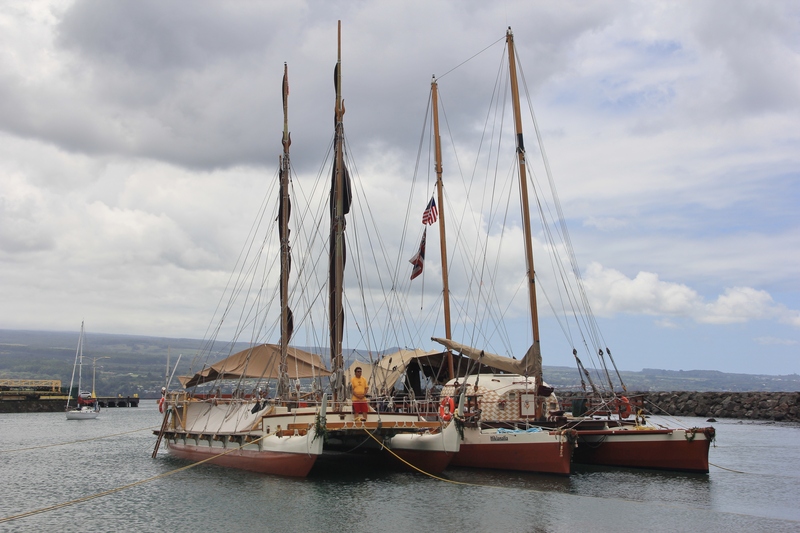 An interesting history of earlier voyages of the Hokule’a is: exploring physically outward in the last 25 years. 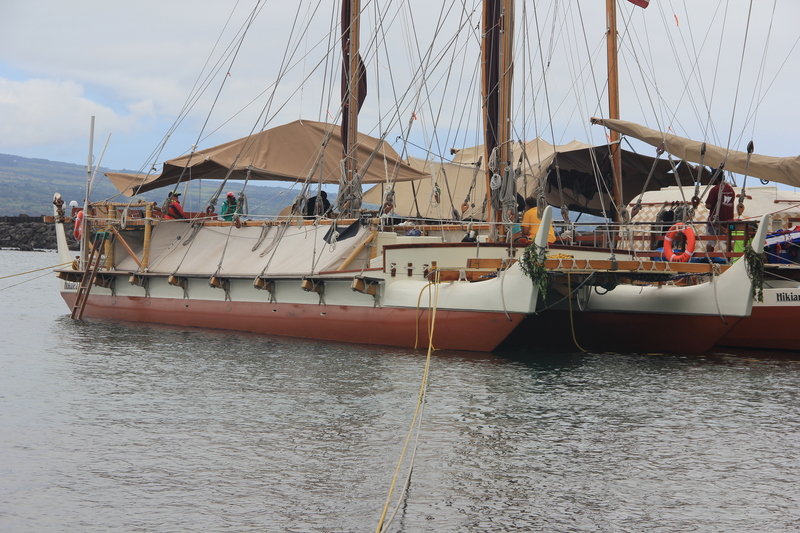 Please see: the Polynesian Voyaging Society for more information and the educational models they have developed. 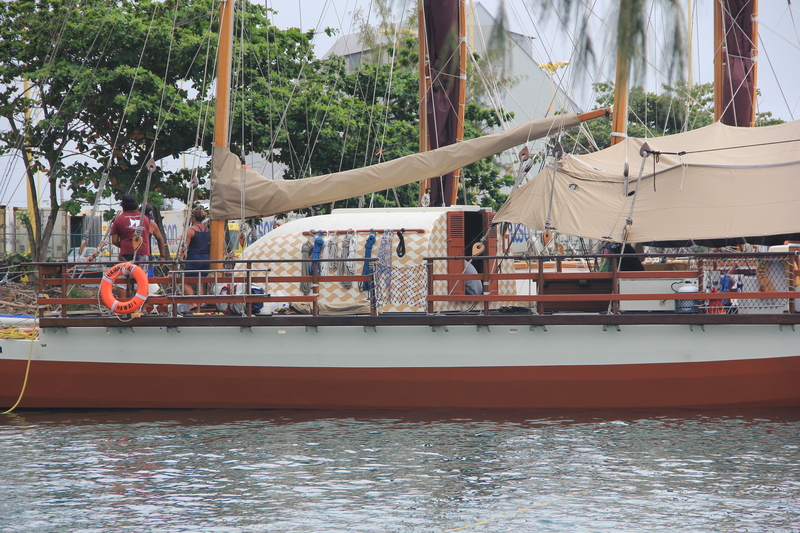 PVS has been an important influence on the preservation of Hawaiian culture and the renaissance of traditional navigation and sailing. 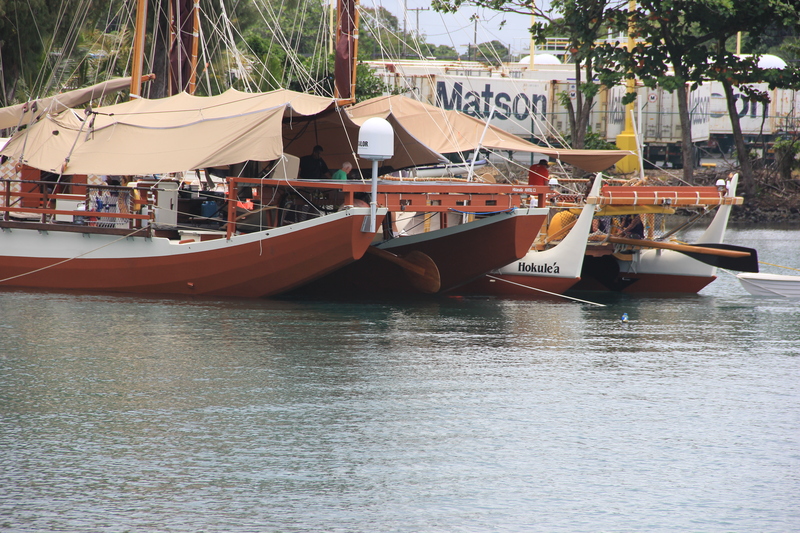 If the Hokule’a and the idea of voyaging canoes has captured your imagination as it has mine I highly recommend you to pursue that curiosity and read the books of author Sam Low who has sailed on and written extensively about these adventures. His latest book Hawai’iki Rising is a fantastic read. Scroll to the bottom portion of the link to read an interview with Sam Low and book reviews. 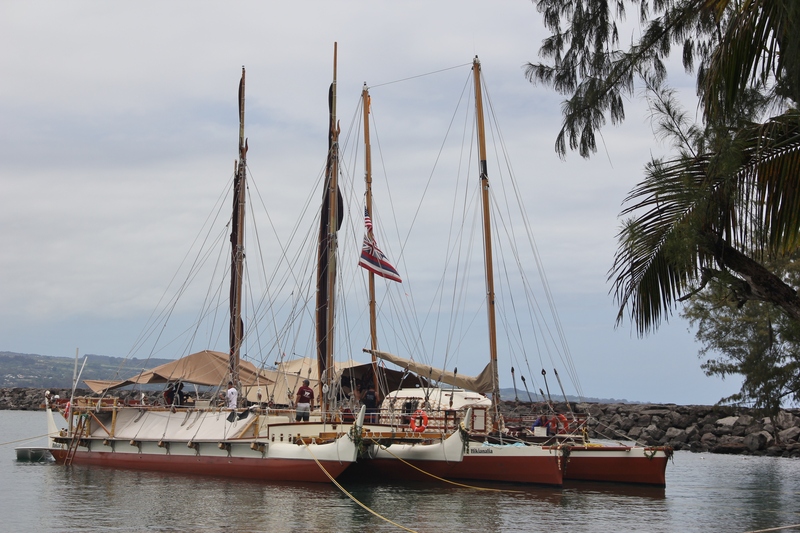 To read excerpts of Hawaiki Rising and wonderful short stories of voyaging check out this great page: Mo’olelo. Really good stuff! This entry was posted in environment, the hungry brain, water and tagged Culture, Earth, Hawaii, preservation, sustainable, water. Bookmark the permalink. Reminiscent of Thor Heyerdahl. Excellent piccies. And good to hear about them reviving old skills, knowledge once lost, is not easy to recover. Really interesting and beautiful shots. Thank you for this connection. An epic journey well worth following with thanks to earthstonestation for the article and info. An epic journey with a kind of bravery not seen much anymore. Thank you for sharing this info.